Is it Dive Computers vs. Dive Tables or is it Dive Computers and Dive Tables? Before dive computers became a common sight in the scuba scene, the only reliable way to calculate safe dive times were dive tables. Dive tables were initially created for military use in order to ensure that divers don’t suffer from decompression sickness. Dive tables are setup under the assumption that the scuba diver stayed at the maximum depth for the entire dive. The nitrogen absorption is calculated based on these parameters. Dive computers work differently. They record the actual time and depth of a scuba diver and then calculate the nitrogen absorption based on these actual values. This higher level of accuracy results in longer dive times and shorter surface intervals. In any typical scenario the safety margins with dive computers are much higher than with dive tables as the parameters used for the calculations are the actual values and as the calculations are continuously being performed. With a dive table you typically have to figure out beforehand how long you can stay at what depth while the dive computer adjusts the nitrogen absorption calculations on the fly. It can then provide information about decompression stops on the way up if necessary. Click here to find the lowest price on Amazon! One of the big drawbacks of both dive tables and scuba computers is that the calculations are based on mathematical models. The diver’s physical data like weight, etc. is not taken into consideration. This means that neither method completely eliminates the risk of decompression sickness. It can be safely assumed that one of the next generations of dive computers will take these physical parameters into consideration for even safer and more accurate calculations. Many dive computers allow to adjust their algorithm with safety settings. It would always be a wise choice to use a safer setting rather than an aggressive setting to calculate nitrogen absorption. Deepest Dive First - Still the Rule? When relying on dive tables it was always a rule to have the deepest dive first and shallow dives following later. With modern dive computers this rule is no longer required. They can calculate reverse dive profiles exactly and the same as traditional dive profiles. However, when relying on dive tables, you can’t do a reverse dive profile. When you do a shallow dive first and follow that with a deep dive, you either end up with a decompression stop or you couldn’t even calculate your bottom time as the dive tables won’t support this scenario. You can safely dive such a profile if you use a dive computer as it will calculate correctly. Many new divers wonder why they even should care about dive tables when the dive computer does all the work. This is true to some extent but it can also be dangerous to not know the basics and not know how to use a dive table. Why even consider dive tables? Unfortunately, dive computers, as any other device, can break or in the simplest case, run out of battery. If at that time you don’t know how to use a dive table, you’ll be stranded until your computer is fixed or the battery is replaced. A diver knowing how to use dive tables can use this method as a backup in case the dive computer stops working. A counterargument might be in this case that you could have a backup dive computer that can be used. While this is true, it also has a risk factor involved. 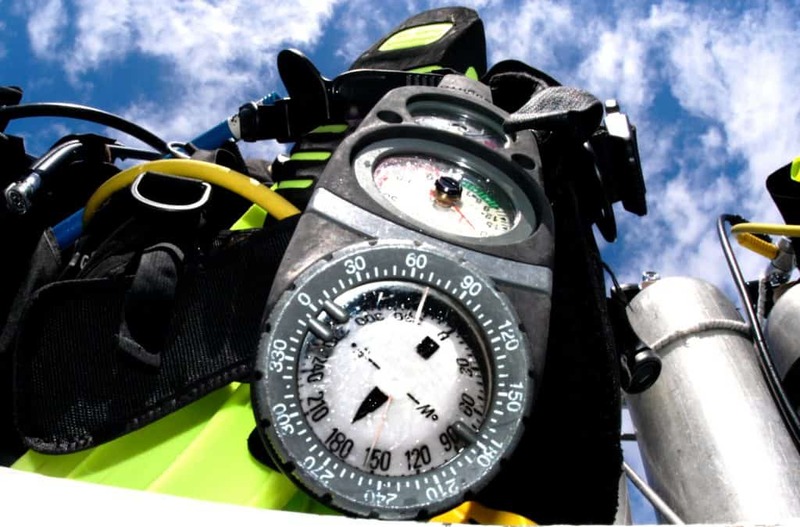 The backup dive computer does not know anything about your previous dives and thus might end up with calculations that could put you at risk for decompression sickness. It will be safer in that case to use dive tables as you can adjust those to take your previous dives into consideration. 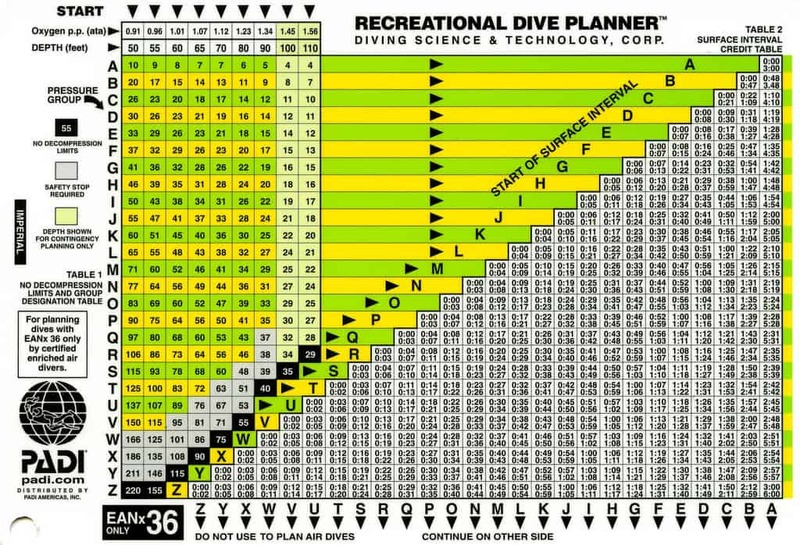 A best practice is to use a dive computer as your main calculation tool and dive tables as your backup. A personal dive computer allows you to keep a lot of your dives. Many of the modern dive computers can transfer that log to a computer and you can model future dives based on that historic data. The capabilities offered by such a personal scuba computer are infinitely higher than what you could accomplish with the use of dive tables and manual logs. However, to keep your dive experience safe you should have a basic understanding of the models used to calculate dive times. Dive computers not only made it more convenient to dive but also offer dive profiles that were practically not possible by only using dive tables. Well, they were possible but the time it took to plan a dive was enormous. Many modern dive computers for example allow to switch gases on the fly so you can use different nitrox mixes or use air and nitrox in a single dive to maximize your bottom time. Higher end models also allow to measure air consumption to further maximize and optimize any dive. Dive computers are essential to the safety of the sport. Over time they became reliable devices that maximize bottom time while providing higher margins of safety for the diver. No diver should go diving without a personal scuba computer. However, to always be on the safe side and to understand what a dive computer is really doing, it is highly recommended to know how to use dive tables. One never knows when it becomes necessary to use them. Enjoy your diving and go get a dive computer if you don’t have one. Check out our guide to the best dive computers so you can find the best device for your budget and diving needs! Many technical advances have come from military needs. Dive computers are not different. The Navy needed a reliable system for their underwater warfare. They met in 1951 with the Scripps Institution of Oceanography in California. The requirements the Navy had was to get a device that reliably monitors the nitrogen loading in the body of divers. The goal was then as it is today to replace the dive tables with a reliable monitoring device that tracks the nitrogen in the body based on time, depth, gas mixture and previous dives. 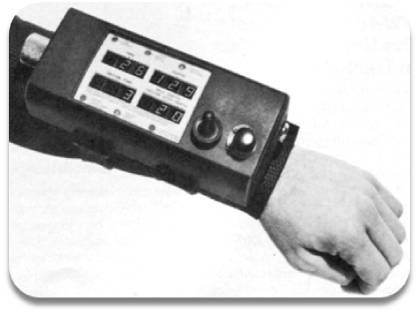 While this capability exists today in devices that can even be worn instead of a wrist watch, they were pretty much unachievable in the early 50’s. Based on this it would calculate an optimal, in many cases faster, rate of ascend. They suggested that an analog device would be used to measure the decompression and the air consumption and then correlate those measured values to calculate the ascend rate. Don’t forget that this was outlined at a time when computers were anything but reliable, cheap, small or even digital. These first set of requirements lead to the development and manufacturing of the Decomputer Mark I by Foxbory Company. It was evaluated by the US Navy in 1957. It was an analog computer that informed the diver with the help of a needle whether the ascend was too fast or not. The device unfortunately did not work as expected and did not calculate the decompression status correctly. The Navy gave up on the computer and continued to use their own dive tables. In 1959 a mechanical analog dive computer was presented. It was developed by two Italians, DeSanctis and Alinari. The brand to introduce the device was SOS. It was intended to be a decompression meter/monitor for recreational diving. Other companies, like Cressi and Scubapro, started to also distribute the device. It is not hard to imagine that in 1959 technology was not as small as today and also not as reliable as today. The device being mechanical required quite a setup of components. While the principle was simple, the design and the components weren’t. The following years saw more and more mechanical analog computers be introduced. They all worked on similar principles as the SOS device and used bladders and membranes to simulate nitrogen absorption into the tissue. None of those really did the trick though. In 1963 the Italian company SOS introduced the Poseidon 5. It was the first semi-mass produced pneumatic analog diving device. It was widely copied by other companies and, as the previous models, used bladders and ceramic membranes to simulate the absorption of nitrogen into the tissue. The device was overall so unreliable that it was nicknamed ‘Bend-o-meter’. 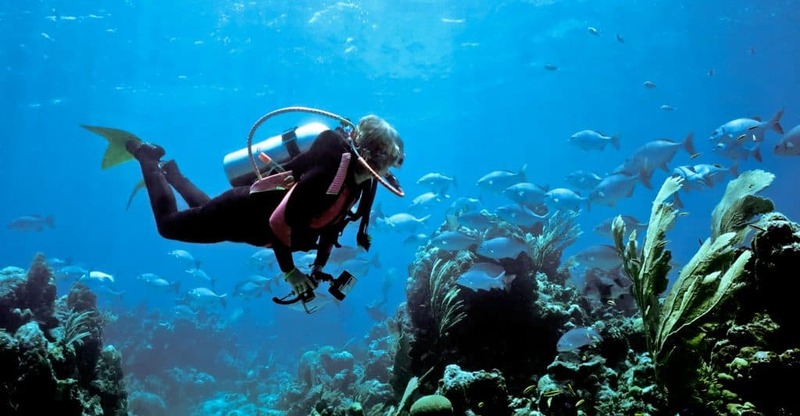 The US Navy advised against its use for recreational diving. 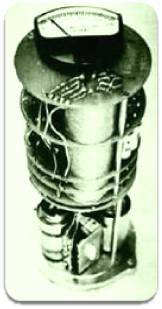 In 1963 the first electro-mechanical diving device was introduced. It was the Tracor and was not a mechanical, but instead an electrical device. It used ceramic membranes with different electrical resistance to simulate the nitrogen absorption by tissue under pressure. It relied on a constant temperature in the device which was maintained electrically through the use of two large batteries. In addition, it needed four additional batteries to generate a constant voltage and current. Unfortunately, the battery consumption was very high which resulted in short dive times. Additionally, the system temperature was not stable and this resulted in error rates that were quite significant. The next significant development came in 1979 with the introduction of the XDC-1. It was a purely laboratory computer that looked like a cash register. 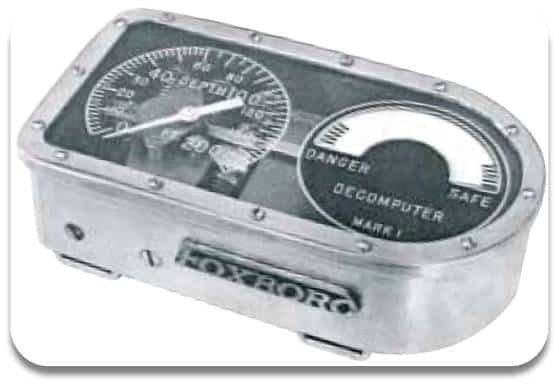 The XDC-1 was a desktop computer that was connected to the diver with a cable which had a pressure sensor in it. The follow-up model was the XDC-3. It was and is the first real dive computer that was capable of being taken into the water by a diver. The XDC-3 was sold around 700 times until 1982. The XDC-4 was an improved version that was capable to calculate based on different gas mixes. For most divers, or actually nearly all divers, it was too expensive to buy at that time. The DDC was able to store information for repetitive dives and had a sensor to warn if the ascent speed exceeded 20 meters per minute. It also had a LED that warned if the non-decompression limits were exceeded. These first digital gadgets were kicking off years of rapidly improving technology. 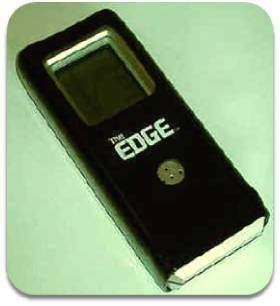 The year 1983 saw the introduction of the Orca Edge. It was a pretty clever device that used 12 tissue compartments to calculate ascent speeds. The underlying model was based on the US Navy dive tables. It used a standard 9V battery which lasted up to 48 hours. However, it did not calculate ascent times and its seals failed at depths larger than 50 meters. Additionally, the manufacturer was only able to produce one device per day. Without those shortcomings it could and most likely would have been a huge success. 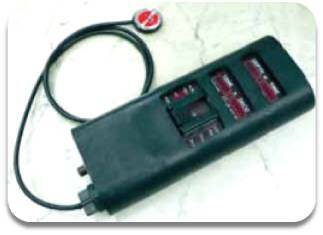 In 1984 the Decobrain was introduced. It was designed by the Swiss startup Divetronic AG. The Decobrain can be seen as the first recreational dive computer. It displayed all data that we expect from a modern dive computer. It calculated ascent times and included warnings for NDL and ascent speeds. It was even available as a build-it-yourself kit which made it reasonably affordable at the time. 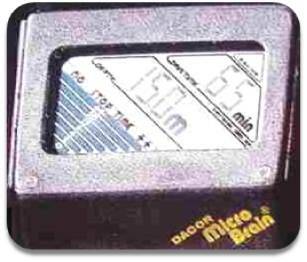 Dacor introduced the Microbrain as the successor of the DDC. The remarkable innovation of this device was that it used a specifically designed silicone chip which worked faster and more reliable. In also required less battery power and it can even today still be found being in use. 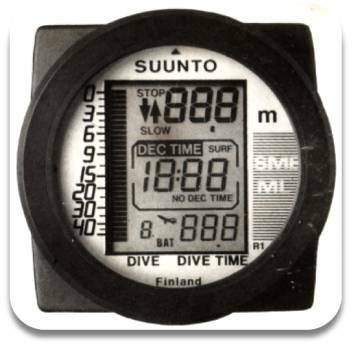 The Finnish company Suunto introduced their first dive computer in 1986. It was the SME-ML. 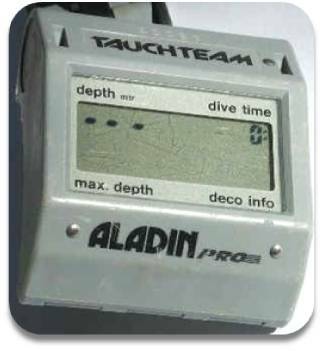 It was a truly remarkable piece of technology that had all essential features that a modern dive computer has. It was even capable of storing 10 hours of dives. The dive log was available all the time for the diver. The underlying model was based on the US Navy dive tables (9 compartments from 2.5 to 480 minutes). The battery could last up to 1,500 hours. The max. depth was down to 60 meters with a max. 30 minute decompression time per compartment. 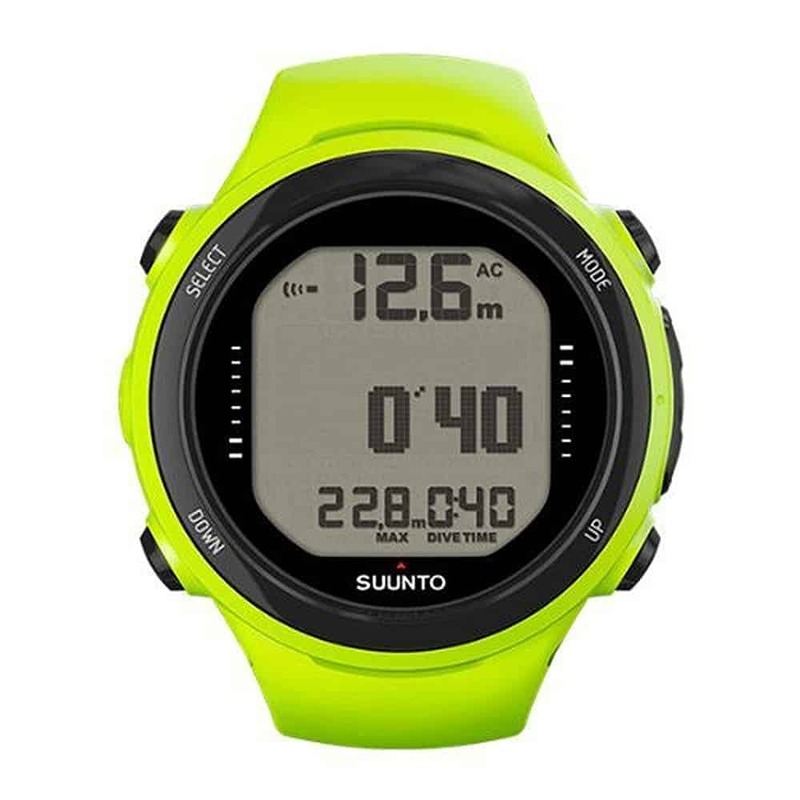 The SME-ML had a very simple design and introduced Suunto to the mass market. All key information was available at once and it was particularly easy to use. 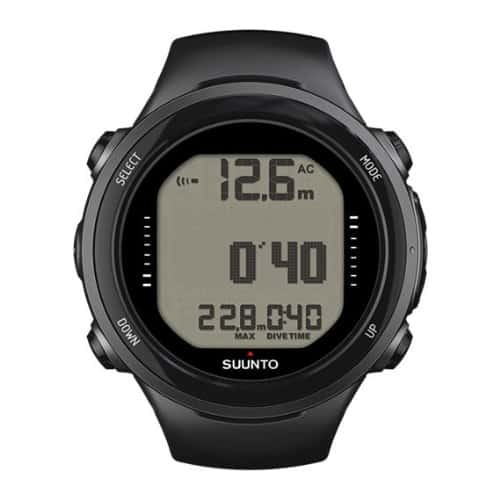 It took Suunto another decade to become the leader in the dive computer market but the SME-ML certainly was the foundation for that success. 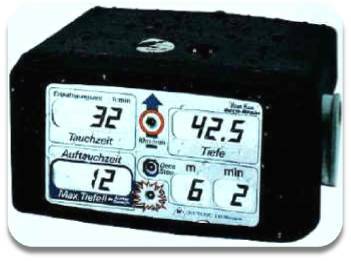 The Swiss company UWATEC hit the market in 1987 with their Aladin device. At that time it pushed nearly all competitors away and become one of the de-facto standard devices to be used by divers. It had a max depth of 100 meters. The recommended ascent rate was set to 10 meters per minute. It was able to store the data for 5 consecutive dives and one could eventually find it used by more divers than any other dive computer at the time. It was a rather ugly and bulky and sported a grey casing. There basically has not been any radical change in dive computers since the late 80’s. Yes, the best modern ﻿scuba computers are smaller, more capable and certainly more reliable. 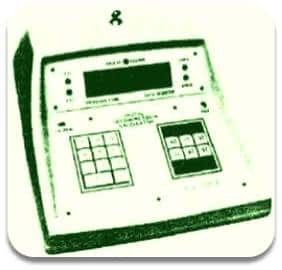 This also allowed the dive computers to become more and more popular and today the majority of divers uses a dive computer. However, the basic functionalities of these modern marvels of technology are still the same as their predecessors provided in the late 1980’s. Additional features that were introduced are calculations for different gas mixes, digital compass, higher capacity log books, air integration, etc. 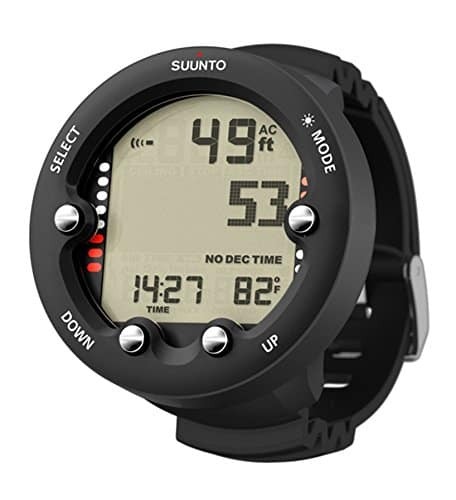 Some of these features can only be found on mid-level and higher end models like the S﻿﻿uunto ﻿﻿﻿ ﻿D﻿﻿4i﻿﻿ Novo. It will be interesting to see what the future will bring with improved sensor technology and networking capabilities. If you are interested to learn more about dive computer history then check out the post on Wikipedia as well as the one on ​Scuba Diving Advisor. Nitrogen and Oxygen are part of the air we breathe. During diving, Nitrogen concentrations increase in the body and can cause decompression sickness (the bends) when you ascend too fast. The thought behind Nitrox is that the concentration of nitrogen in the gas you breathe is reduced while the concentration of oxygen is increased. This will result in less nitrogen being absorbed during diving and as such the need for decompression stops is reduced. In other words, you can dive longer without having to make decompression stops or risking decompression sickness. When to use Nitrox for Diving? It’s a simple idea and it works very well at moderate diving depths. If diving deep the Oxygen can actually cause Oxygen poisoning and Nitrox will actually increase that possibility. Oxygen in the air is concentrated at around 21%. 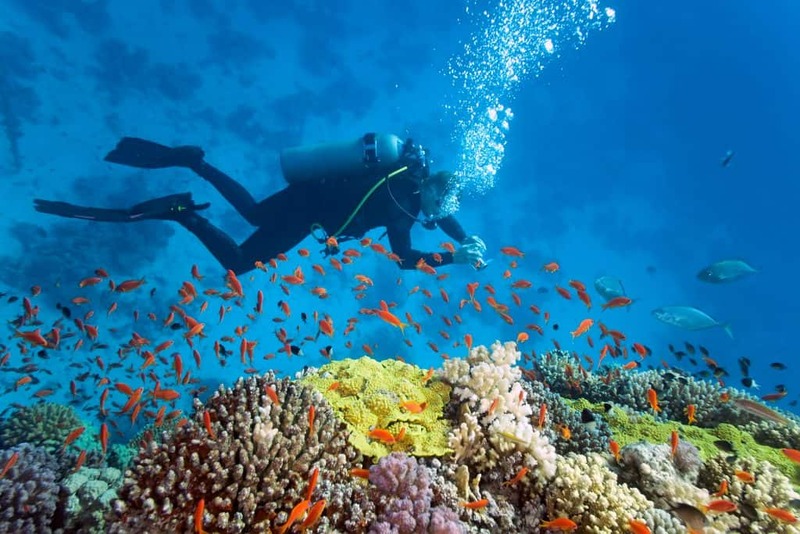 Any diving mix that has an increased level of Oxygen is basically called Nitrox. You might also have seen it abbreviated as EAN (Enriched Air Nitrox). Nitrox in diving has been around for over 25 years. It started slow but has become common among all levels of Scuba diving and made the sport overall safer. The two most popular and common mixes of Nitrox are 32% (EAN32) and 36% (EAN36) of Oxygen. Both blends are easily available at any dive location. EAN-32 is sometimes also referred to as Nitrox I and EAN-36 is often named Nitrox II. You know that you’re looking at a Nitrox mix when you see the yellow and green label on the tank. It is a misconception that you can dive deeper with Nitrox. As mentioned above, the deeper you dive, the higher the pressure gets. Oxygen will get poisonous at high pressures and will cause Oxygen poisoning. Nitrox does however allow to dive longer at the same depths compared to breathing regular air. Regular air has a concentration of around 21% Oxygen. Using regular air, you have a bottom time of around 35 minutes at 80 feet (24 meters) for your first dive. Using Nitrox I you can dive for that same time at 100 feet (30 meters). To say it differently, your body will absorb the same amount of Nitrogen at 100 ft using EAN-32 as it does at 80 ft using air. Nitrox does allow to dive deeper (within limits) while extending bottom time. It might make more sense for recreational divers or beginners to simply take the added safety of being able to stay longer at the same depth instead of trying to go deeper. In the end you can either dive deeper with the same bottom time or extend your bottom time if you don’t go deeper. We briefly touched on the issue that oxygen under pressure can become toxic to humans. We’ll explain this a little further in the following. There’s a lot more to learn and to understand if you get a Nitrox certification. The partial pressure of oxygen on land is .21 ata (also referred to as PPO2). This reflects the 21% oxygen in the air times the atmospheric pressure. During a dive the pressure surrounding you is increased. This will change the partial pressure of oxygen. When you dive to 33 feet (10 meters) the pressure reaches 2 ATM. In turn the partial pressure of oxygen rises to .42 if we breathe air. This is roughly the point where our body’s reaction to oxygen changes and it starts to get toxic. To be clear though, to have an issue at that depth would require a diver to stay down for much longer than it’s possible. The brain will start to be affected if the PPO2 rises to 1.6 ata. At that level serious health issues and even death is possible. The maximum safe level of partial pressure is commonly set to 1.4 ata. This level would be reached at a depth of 185 feet (56 meters) if breathing Air. This is where Nitrox becomes the issue though. Due to the higher concentration of oxygen in the gas, the maximum depth with Nitrox II is reached at only 94 feet (28 meters)! The higher the concentration of Oxygen in the gas, the lower that maximum depth gets. If you’d use Nitrox with a 38% Oxygen level then the depth to reach 1.4 ata is only 87 feet (26 meters). The depth at which 1.4 ata are reached is also referred to as Maximum Operating Depth (MOD). You can calculate the PPO2 levels for yourself. Take the atmospheric pressure times the oxygen concentration. For example, diving with Nitrox I at 132 feet results in 5 ATM * 0.32 which results in a PPO2 level of 1.6. The MOD diving with Nitrox is well within the limits of a deep diver. Therefore, it is very important to take this into consideration when preparing for a dive. The effects of Oxygen on the body when the partial pressure goes higher than 1.4 ata are similar to Nitrogen in the body and can in the worst case be deadly! At that level there is more oxygen in the body than is required for the metabolism. The oxygen bonds to the hemoglobin or the gas dissolves in the bloodstream. At that moment the hemoglobin can no longer transport carbon dioxide to the lungs and both gases build up in the body. The blood flow to the brain gets reduced and eventually the central nervous system is affected. This will cause seizures and convulsions, ear ringing, twitching and nausea, and other symptoms like dizziness. To recapture here once more: Nitrox does NOT allow you to dive deeper! As outlined, Nitrox won’t be a good choice to dive deeper. However, it is a great choice to allow you to dive longer. It won’t make a difference if you dive in shallow water, up to 50 feet. The no-decompression times for Air in that case are typically so long that you’ll run out of air before you run into any limits. Dives with Nitrox enable you to have longer repetitive dive times. You absorb less nitrogen during each dive which means your subsequent dives can be longer. This can be a significant advantage if you dive in an environment where there’s lots to see. You can dive longer each time which allows you to see more of your environment under water. You will enjoy increased safety during dives assuming that you will not dive down to deep depths where PPO2 levels could become an issue. 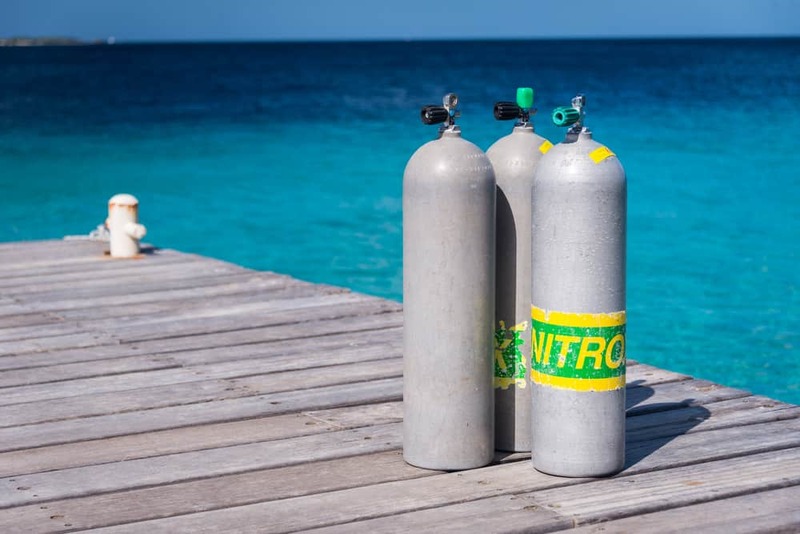 If you ever suffered from the bends and you want to be extra careful then calculate your dive times as if you were using Air but then use Nitrox. If you for example dive to 60 feet and you use the calculations for air then you’d still have around 60 minutes of safety if you instead use EAN36! This is a significant buffer and basically guarantees that you won’t hit any no-decompression limit. As outlined above, don’t do that though if you decide to dive to deeper depths! Most dive shops will have EAN 32 available. This makes their and the diver’s life easy as it’s a known concentration. It’s easiest for them to mix only one concentration. However, if you use Nitrox I at 70 feet then it really only adds around 10 minutes to your bottom time of around 50 minutes. If you could use Nitrox at a 40% oxygen level, you could double your bottom time at that depth. That’s quite a substantial increase in bottom time. When you plan your dive you might want to consider calling a few dive shops in the area to see whether they can blend a tank with higher oxygen concentrations. 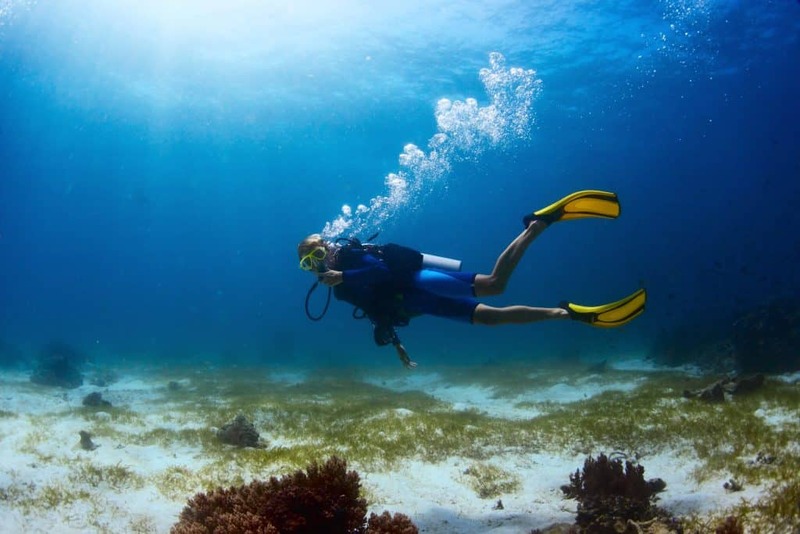 Most dive shops will not have a problem doing that with a little bit of lead time as long as the oxygen levels stay under the recreational limit of 40 percent. Most of today’s dive computers are capable of handling Nitrox. They at least have the settings for the most common mixes (32% and 36%). Higher end models are capable to adjust the mixes up to 50% so you get the correct readings from the dive computer. If you have a model that has preset mixes, then make sure to round in the right direction. This typically will result in you rounding up. Let’s say your dive computer has settings for 32% and 36% and your tank is a 34% mix. In most cases you want to set your dive computer to use the preset 36%. This will increase the safety margin with regards to the diving depth calculations that your dive computer will perform. If you are planning though to stay relatively shallow but you want to go for a long dive, then it’s better to use the lower setting. That would reduce the maximum bottom time which on the other hand increases your safety margin. Even with a dive computer you might need to have a thorough understanding of the effects of Nitrox to the bottom time and the dive depths. Make sure you understand those basics before diving! 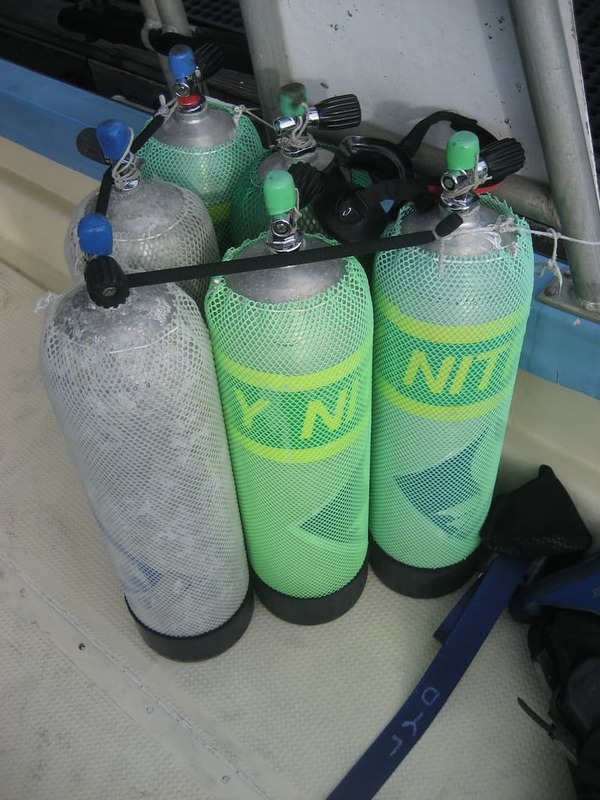 Nitrox made recreational diving safer. However, it’s not made it idiot-proof. You still have to know what you’re doing. You have to have your tank prepared for Nitrox use and you should be certified to dive with Nitrox. Nitrox will allow you to dive safer and longer. Due to the lower absorption of nitrogen you also feel more refreshed after a dive which is a nice side effect. It also puts overall less stress on the body if you don’t go to the limits of using Nitrox underwater. It is highly recommended that you use a good dive computer that is capable of having the correct oxygen concentration be set by you. This way you get the most accurate calculations based on the gas you’re using. Check out your selection of the best dive computers for more information! Before the age of dive computers it was necessary to use dive tables to figure out how long you can stay under water and how many stops you had to make when coming up to avoid risking decompression sickness. 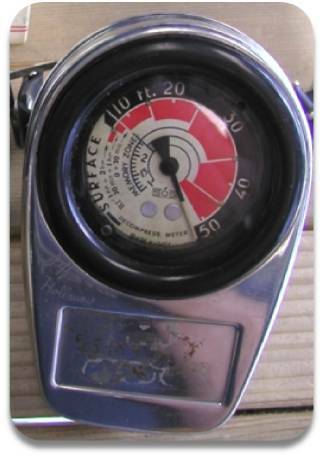 You also needed a depth gauge to measure your depth and a dive watch to know how long your dive was so far. All these tasks are performed nowadays by using a dive computer. It replaces all three former instruments and combines them into one handy item that you can wear on your wrist or you can use a console-mounted model. It is worth to mention though that you should still use your dive tables to plan your dives. A scuba diving computer can only provide you with real-time data but will not help you with planning a dive. Why Use a Personal Scuba Computer? Diving causes Nitrogen to dissolve in your bloodstream. The longer and deeper the dive, the higher the concentration of Nitrogen in the blood. This requires a slower rate for ascending and longer decompression periods. If the ascend happens to quickly and with no safety stops then the Nitrogen builds bubbles in your bloodstream and tissue which expand when you come up. This causes decompression sickness which can be painful in the best case and fatal in the worst case. This is like when you take a bottle of carbonated soda and you shake the bottle. When you open the cap, the sudden reduction in pressure causes the foaming of the soda when the carbonation is released. In principle it works similar when you come up too fast from a dive that requires a decompression stop during the ascend. It happens more slowly and less explosive. The concentrated Nitrogen bubbles and needs to escape somehow which in the worst case will end fatally. Similar to the old-fashioned dive tables, these modern computing devices use a decompression model based on length, depth and air mix to monitor and calculate the Nitrogen concentration in your bloodstream and body. The computer tracks this information in real-time and continuously informs you of how long you have left. Following the instructions and alerts will ensure a safe dive with no decompression sickness. It’s an easy and reliable instrument to avoid a potentially fatal or at least very costly mistake when diving. A few hours in a hyperbaric chamber to treat decompression sickness will typically cost many thousands of dollars. Dive computers vary in price. The cheaper models are typically geared towards the more recreational diver while the higher end, and more expensive, models typically have all the bells and whistles that a semi-professional or professional diver requires. Be clear about what kind of diver you are to pick the most reasonable device for your needs. 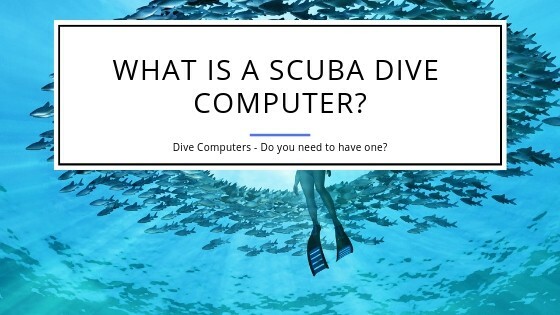 If you typically only dive with air and in rather shallow environments you probably will not need a top of the line dive computer as you won’t use its capabilities. It also will have to fit your existing equipment. It won’t help you to buy a high end scuba diving computer that could measure your air consumption if your regulator doesn’t allow to connect to it. What is more important that the bells and whistles is that it is easy to handle the diving computer and that you can read it. Don’t forget that you want to make sure you can read the information with your mask on. Another question you have to ask yourself is whether you prefer the data to be displayed as numbers or in the form of charts and symbols. This is typically personal preference but match what you like to the dive computer. It will help you read the data faster when you’re diving. You also want to make sure you really understand how to use the computer. Check all the features out and memorize how to get to them before your first dive. You won’t have time to read the manual under water in case you’re stumped on how to get to specific information! While it is important that you match your needs to the capabilities of the dive computer, you also do not want to buy a cheap model just because it’s cheap. Don’t forget that a reliable instrument like this can save you a lot of headaches and cost when diving. If it only saves you one visit to a decompression chamber, it paid for itself many times over! Should you consider buying a used scuba diving computer? Before answering this question you should consider what such a particular device is for you. Is it a gadget or an item that improves your ability to dive safely and, more importantly, come up safely again with no risks to your health? Buying a used model typically means you do not know what happened to it before you get it. This might be fine if you buy a used comic book, but it’s a lot more difficult when you think about buying a used piece of safety equipment. Would you buy a used car seat for your child? Most likely not so you might want to stay away from buying a used dive computer. An exception here is if you know the diver from which you want to buy the used equipment and you know he/she treated the computer well. In any case though you have to be aware that a used dive computer most likely will not have any warranty left on the device. Most manufacturers provide one year of warranty. Oceanic offers a lifetime warranty if the device has been serviced once a year by an authorized dealer. It doesn’t seem worth you can save a few bucks on a used dive computer when you think of the potential risk. Your life could depend on this piece of equipment so it usually makes more sense to buy new instead of used.